When the club presented green jackets to these two golfers, it was a small step forward for women and a giant step for golf. Next month, Augusta National will take another step forward. The club will host its first annual Augusta National Women’s Amateur Championship. On April 3-6, the top 72 female amateurs in the world will compete for a spot in the game’s history books. The four-day event aims to inspire greater female interest in the game by providing a platform for the best in the world. 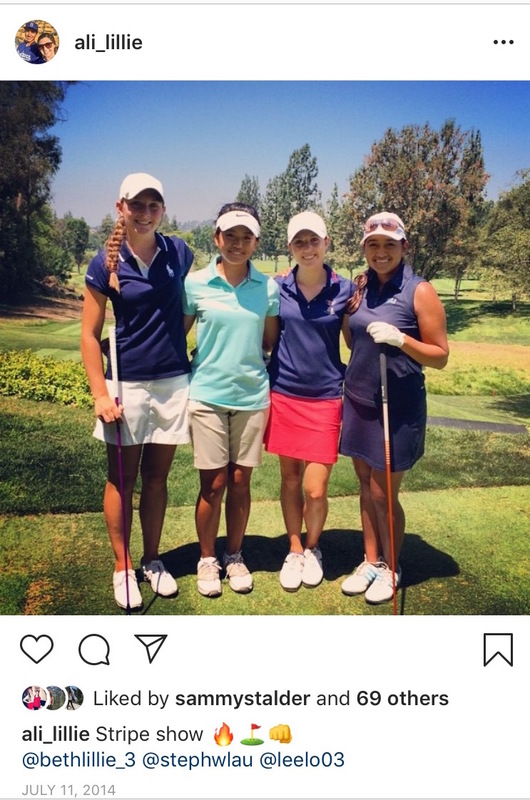 One of the 72 players includes long-time Associate Member of Hacienda Golf Club and third-year Division I athlete of Northwestern University, Stephanie Lau. Lau sat down with us to talk about how she earned a spot in this ground-breaking event, what she’s doing to prepare for Augusta and how Hacienda has contributed to her success. She also offers insight into what it means to play a part in breaking golf's biggest glass ceiling. How Did You Earn Your Spot in the Augusta National Women’s Amateur Championship? “I earned my spot based on my 2018 World Amateur Golf Ranking. At the end of the calendar year, I was ranked 17th in the United States. Because I was in the top 30 in the U.S., I earned an invitation,” the Northwestern player tells Hacienda. Sound simple? Lau’s top 30 ranking didn’t happen overnight. Several stellar performances in amateur events during the summer of 2018 catapulted her up the world rankings. In June, she finished runner-up in the British Ladies Amateur Golf Championship to Germany’s Leonie Harm. After crushing her opponents in the first five rounds of matchplay, Lau lost 3 & 2. One month later, Lau won the 116th North & South Women’s Amateur at Pinehurst No. 2. After finishing the first three holes of the finals 3-down, she bounced back to defeat USC’s Gabriella Ruffels. What Does It Mean to Be a Part of This Historic Moment in Golf? How Has Hacienda Contributed to Your Success as a Junior, Collegiate and Amateur Player? Lau credits Hacienda for shaping her into the player she is today. The club is home to some of Southern California’s best amateurs. Bethany Wu of UCLA, Beth Lillie of the University of Virginia, Alison Lillie of the University of San Francisco, Felicia Chang of Yale University, Dan Erikson of Texas A&M, Ethan Han of UCI and Hunter and Ryder Epson of Cal State Long Beach all grew up playing with Lau. 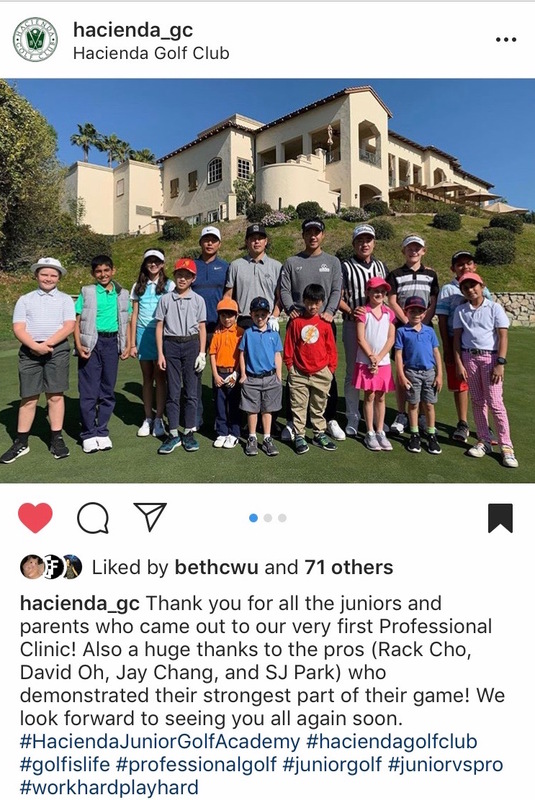 Thanks to Hacienda’s Tour Professionals Program, Lau has also gotten to play and practice amidst LPGA tour pros Angel Yin, Na Yeon Choi, Jenny Shin, Lee Lopez and Inbee Park as well as PGA and Web.com pros, David Oh, Daniel Im, Rak Cho, Jay Chang, SJ Park, Mark Anguiano, TJ Vogel, Rico Hoey, Alex Kim, Jonathan Garrick and Preston Valder. Lau also notes that Hacienda’s championship course and warm, golf-centric culture primed her for competitive amateur golf. How Are You Preparing for Augusta? Lau is treating this tournament like the other prestigious, competitive events she’s played throughout her junior and amateur career: with the same amount of devotion, practice and dedication. Lau admits that she’s a bit nervous going into the tournament. What Will the Week of the Augusta National Women's Amateur Entail? The first two rounds will be held on April 3 and 4 at Champions Retreat Golf Club in Evans, Georgia, just 15 miles away from Augusta National. Although there will be a 36-hole cut, the entire field will play a practice round at Augusta on Friday, April 5. The top half of the field will play the final round at Augusta National on April 6. NBC Sports will broadcast coverage from noon - 3 p.m. EDT. We asked Lau if any family and friends will be joining her for the week. 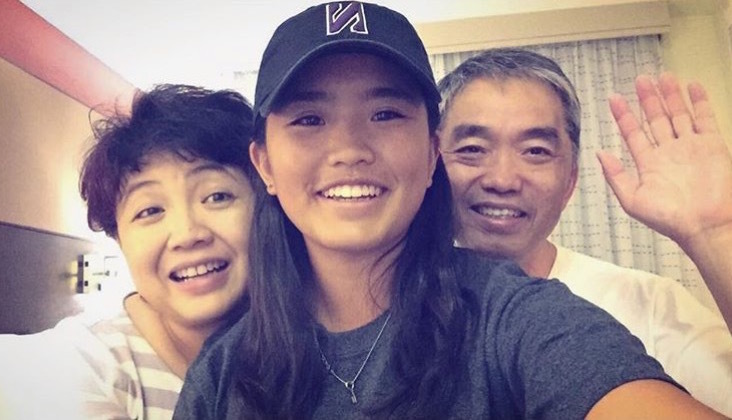 If Lau wins the first annual Augusta National Women’s Amateur, she will gain entrance into the event for the next five years in a row, a spot in the 2019 U.S. Women’s Open, a spot in the 2019 Women’s British Open and any USGA, R&A and PGA of America amateur championships held until April 2020. Where Can You Follow the Tournament? Want to follow Lau and the other 71 top amateurs in the world? Check out ANWAgolf.com for live scoring. Final-round coverage of the Augusta National Women’s Amateur will be shown on NBC Sports from Noon - 3 p.m. EDT on April 6, 2019. NBC Sports will also provide pre-event promotion across all of its NBCUniversal channels. The Golf Channel will deliver highlights, live reports and news coverage of each of the three competitive rounds of the event on April 3, 4 and 6 and feature highlights on their “Live From the Masters” broadcast the week of April 11-14. As a golf club, Hacienda could not be prouder of Lau for earning a spot in this pivotal event. The staff and membership wish her the best of luck at the first annual Augusta National Women’s Amateur and look forward to rooting her on as she contributes to the future of the game and helps golf write a new, more inclusive chapter. Want to keep up with the latest at Hacienda or learn more about all the club has to offer? Sign up for our email newsletter or contact us at haciendagolfclub.com.